The most intimate of rooms, the Vaulted Study can seat just eight guests. The Vaulted Study is also available as a room in which to sign the register in front of your chosen witnesses if you wish. 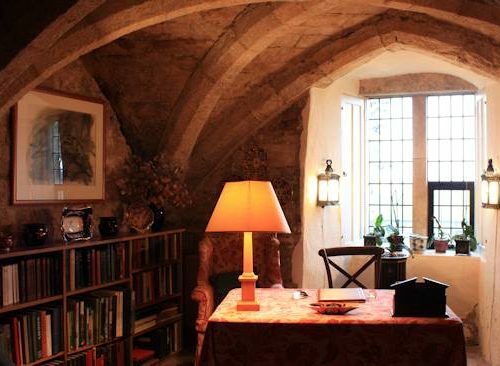 Completely vaulted, why not add you small slice of history to this most-historic of rooms? Again, being a family room, the Vaulted Study is available only for signing the register and not for reception drinks or dining.